I really liked the photo I took of the husband and I the other week and wanted to do something more with it. I like the crop of this version. I think photos don't always have to feature faces to tell a story. Sure, we posed for this shot, but it still shows that we belong together, and I think it also shows love. Or maybe that is just be knowing about the bond between us? In any case, I wanted to build on that feeling for this layout. Our nephew stayed with us this weekend and it was such a great time. I snapped this photo of him and knew I wanted to use it on a page. 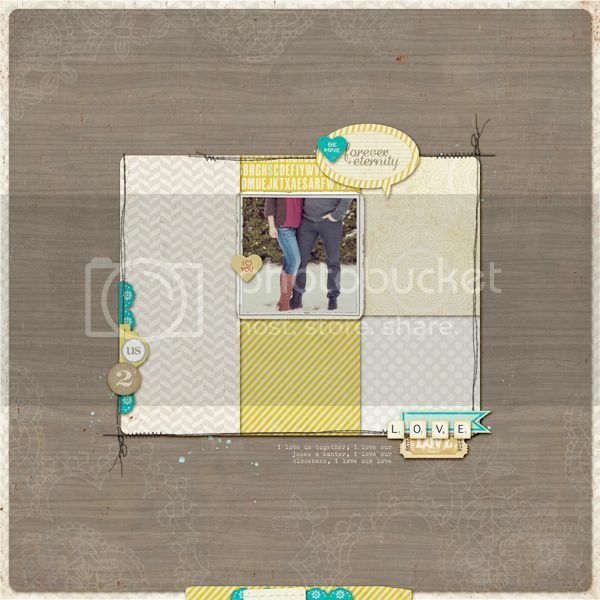 The Paper Heart Kit by Crate Paper is new today at AC Digitals.com. It has lots of pretty Valentine's fitting items.